On July 1st, 2015 I decided to quit making excuses and start making progress on achieving my goal of helping small town pastors grow their churches to levels they never thought possible. If my church could reach attendance levels of 700-800 in a town with a population of 2,200, then it was possible for other small town pastors to experience incredible growth as well. Who knows, together we might save the future of the small town church. We’ve just gotten started over the last few months, but nevertheless here are the Top 10 posts of 2015. Greetings – Four characteristics of great greeters. 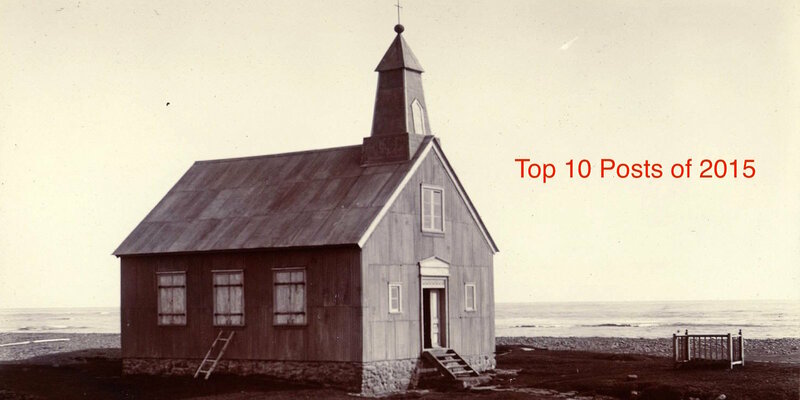 The most read post of 2015 taught every small town church how to make a great first impression. Small Town Church Growth – Really the introduction to the blog and to the Basics. The Basics are simple steps every church can take to start to grow. Small Town Worship – Perhaps the biggest struggle for small town churches are finding capable singers and musicians to lead worship. In this post I provide some ideas on where to find them. I Couldn’t Do It – The terrible story of Christians being tortured by ISIS and my response. Crowded Beds and Crowded Hearts – As a father I sometimes forget to enjoy the moments when my children want to be around me. I wonder if Jesus ever feels the same. Give it Away – The four things my church gives away, and why your church should be doing the same. The Death of Sunday Night Services – Many small town churches are still holding onto Sunday night services. Let it die. Church should be a Piece of Cake – I love a great slice of cake. I also love the church I attend. They have five things in common. Re-Modeling – When marriages fail most people want to tear down and start all over, but what if you just remodeled? Drop the Dress Code – Many churches today whether implied or not still have a dress code. If you’re still wearing a suit and tie, you’re probably hurting your chances of reaching unchurched people. I’m so excited about what’s to come in 2016. You can expect lots of new content from me focused on helping you grow yourself and your church. Plus this year, I’ll be interviewing successful pastors and leaders for tips on how small town pastors can grow their leadership, grow their churches, and navigate the unique challenges of pastoring in a small town. 2016 is going to be an exciting year! Got any questions about the list, or anything you’d love to see covered on the blog? Make sure to leave a comment below and let me know how I can serve you better. I love your article “Six Things Growing Churches Do that Dying Churches Don’t.” # 2 states that the Senior Pastor should make decisions based on his vision. What does a church do if the Senior Pastor # 1-focuses on those inside the church and #3 has a fear of technology- preaches against Facebook and Twitter. #4 Preaches about the problems in the church, #5 wants to stop activities that reach out to the community and #6 others’ ideas are generally not considered. Prayer is all that I know, but would love to hear any other ideas you may have. Thank you. Prayer is a great place to start, but let me say this, time is too short to spend it in a church that has no desire to grow. As difficult as it may seem, I would recommend you find a church that truly wants to reach out to those that don’t know Jesus. I promise you that they could use your help.